Utilize Custom Online Signs’ Church Banners for your religious and special occasions, to lift up your faith in Christianity and edify your spirit. Based in Indiana, Custom Online Signs is an online sign company with more than 30 years of experience. All types of customers can meet their church banner requirements here. We can design and manufacture church banners for a variety of applications. Being a company committed to quality and affordability, we are able to meet and often exceed the expectations of our customers. We create church banners in an aesthetic manner where all elements of belief in the Almighty are expressed in colorful images and passionate wordings as desired by our customers. You can rely on Custom Online Signs to meet your church banner requirements in the best possible way. We can create church banners featuring exemplary images and inspirational hymns and wordings. 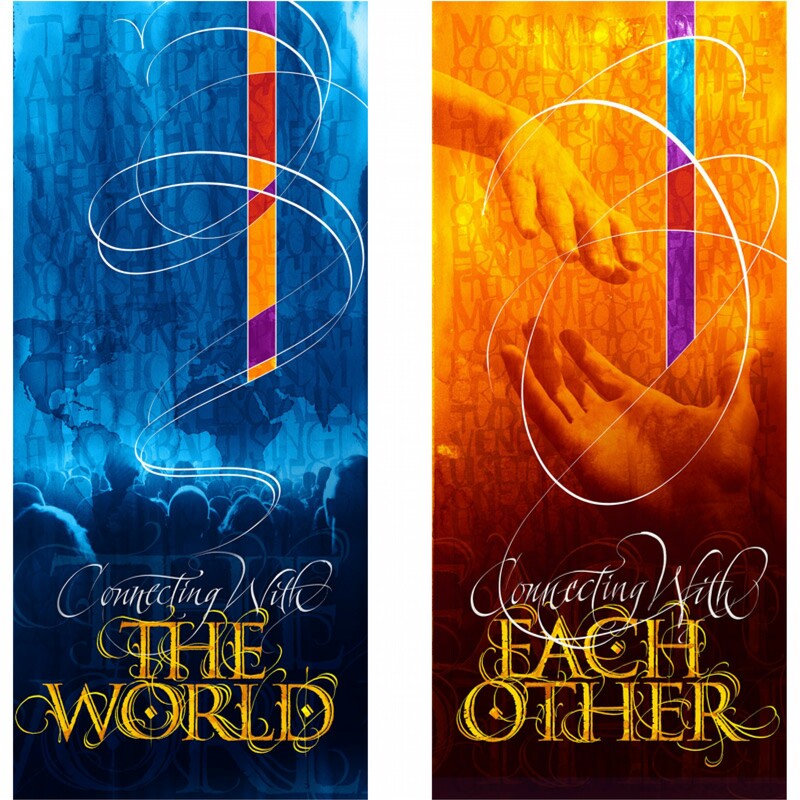 You can choose a church banner of your choice from our in-house stock. Choose the banner that best suits your needs. If you want the banner customized, just inform us. Our highly dedicated and talented staffs are always ready to help you with your needs. Utilizing our state-of-the-art designing and printing facility, they will create the church banners in the required size, and with the colors and effects you specify. The church banners supplied at Custom Online Signs are of very high quality. We utilize only high grade vinyl materials and UV resistant inks which ensure maximum performance of the banners. Try out our online design tools if you have any unique ideas for the creation of your church banners. Using these versatile tools, you can let your imagination run wild. You can customize your church banners by adding your church logos and photos. For further information regarding our church banners, call 219-365-1764 or use our online form to drop us a message. Church Banners 24x120 inches. Premium 13oz exterior vinyl material with brass gourmets every 24..
Church Banners 24x144 inches. Premium 13oz exterior vinyl material with brass gourmets every 24 inch..
Church Banners 24x48 inches. Premium 13oz exterior vinyl material with brass gourmets every 24 ..
Church Banners 24x72 inches. Premium 13oz exterior vinyl material with brass gourmets every 24 ..
Church Banners 24x96 inches. Premium 13oz exterior vinyl material with brass gourmets every 24 ..
Church Banners 36x120 inches. Premium 13oz exterior vinyl material with brass gourmets every 24..
Church Banners 36x72 inches. Premium 13oz exterior vinyl material with brass gourmets every 24 ..
Church Banners 36x96 inches. Premium 13oz exterior vinyl material with brass gourmets every 24 ..
Church Banners 48x120 inches. Premium 13oz exterior vinyl material with brass gourmets every 24..
Church Banners 48x144 inches. Premium 13oz exterior vinyl material with brass gourmets every 24..
Church Banners 48x72 inches. Premium 13oz exterior vinyl material with brass gourmets every 24 ..
Church Banner 48x96 inches. Premium 13oz exterior vinyl material with brass gourmets every 24 inches..